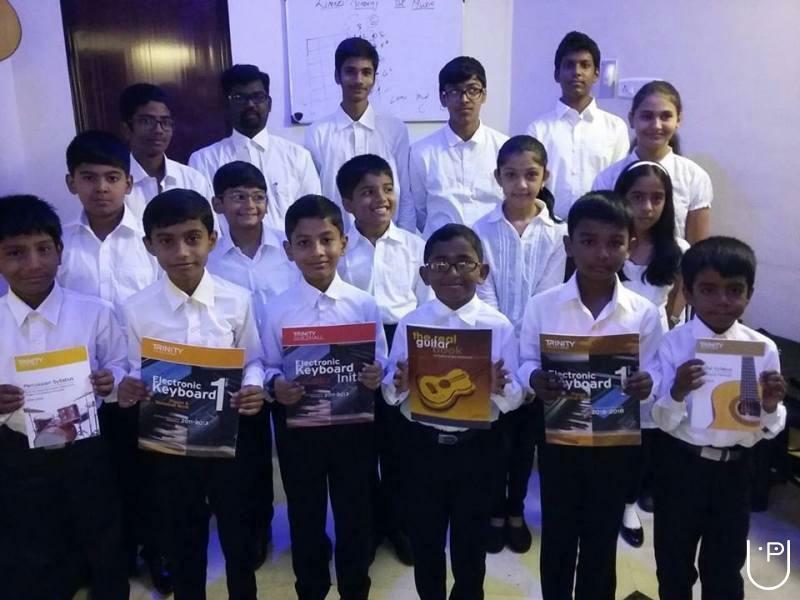 "Excellent coaching with focus on trinity examination. 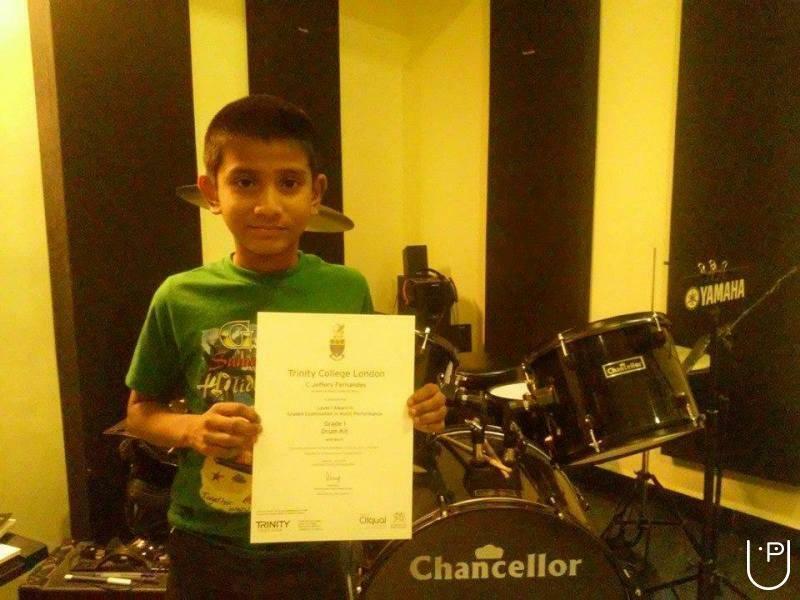 Really appreciate individual attention given to our son to appear for level 1 assessment with confidence. 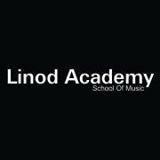 I recommend Linod Academy for anyone looking for professional training in musical instruments. - Abhilash "
"Overall experience is good. Awesome training. " 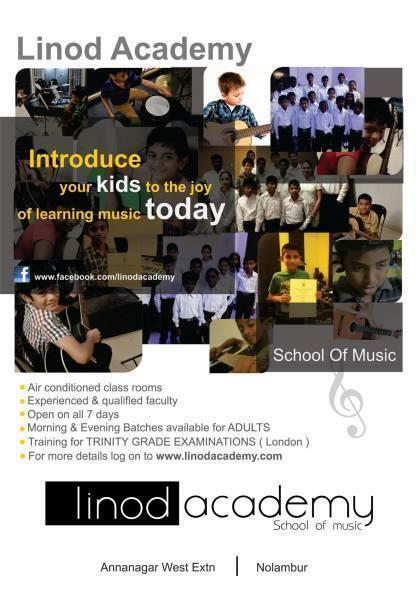 "Excellent coaching, trained by experienced tutors. " 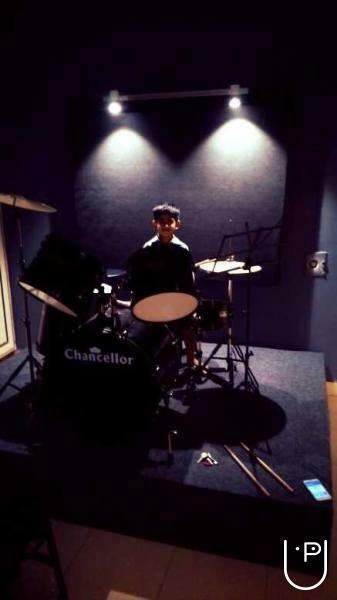 "Really a nice place to learn the music. " 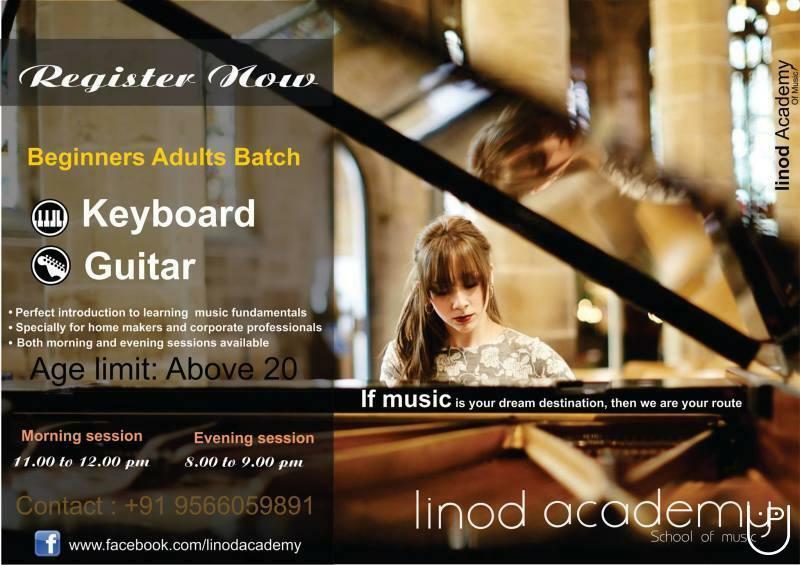 Linod Academy of Music conducts classes in Drums, Guitar and Keyboard. It is located in Mogappair, Chennai. It takes Regular Classes- at the Institute. It has got 4 reviews till now with 100% positive feedback.